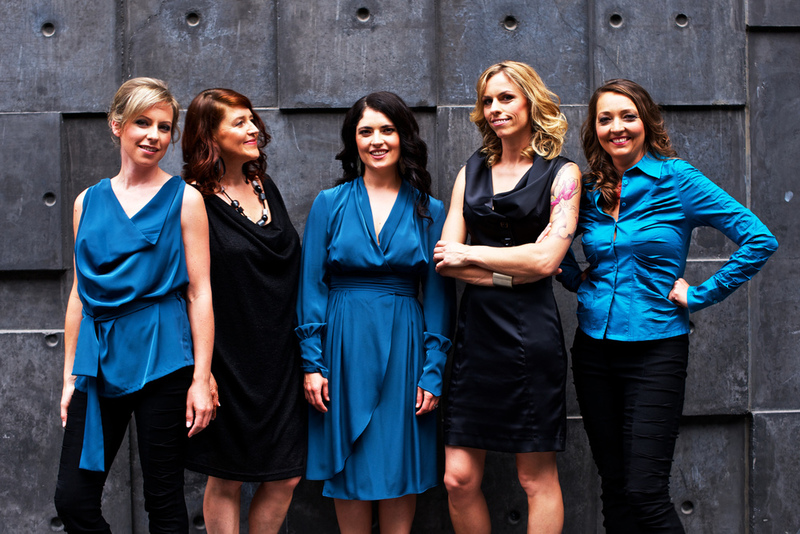 Renowned for their extraordinary song-writing, skin-tight vocal harmonies and stunning live performances, Coco’s Lunch have long been recognised as award-winning pioneers in the composition of innovative Australian vocal music. Co-founded by Lisa Young and Sue Johnson in 1994, Coco's Lunch features Melbourne singer/percussionists Gabrielle MacGregor, Lisa Young, Nicola Eveleigh, Jacqueline Gawler and Emma Gilmartin, and has spent over 20 years winning the hearts of audiences across Australia, China, Singapore, Hong Kong, Laos, Taiwan, Germany, Austria, France, New Zealand, Canada and India. Coco’s Lunch have garnered praise and critical acclaim for their work worldwide, and in 2015 released their latest single and show Other Plans, which they premiered at the 2015 Adelaide Cabaret Festival - directed by Noel Jordan (Festival Director - Edinburgh International Children's Festival). In 2015 the award-winning new single Other Plans was chosen from vocal groups worldwide to feature on the prestigious Contemporary A Cappella Society of America's compilation album Sing 12. Other Plans was also chosen to feature on the Get Vocal 2015: Best of Contemporary Australian A Cappella compilation album. In 2007 Coco's Lunch released their 6th album Blueprint to critical acclaim and an Australian Recording Industry Award (ARIA) nomination for BEST WORLD MUSIC ALBUM. In the same year they received an ARIA NOMINATION for BEST CHILDREN’S ALBUM for their CD Rat Trap Snap! BEST CHILDREN’S ALBUM: Rat Trap Snap! In 2013 Coco's Lunch were invited to tour India for the prestigious Hindu NovemberFest, made possible with funding by the Australia India Council and the Australian High Commission in Chennai. In 2010 the group was also invited to represent Australia as one of 12 vocal ensembles from around the globe to perform at the 2010 Polyfollia 4th World Choral Showcase in FRANCE, performing in front of over 100 international festival directors as well as conducting workshops for amateur choirs & festival delegates – translated into French. They were a headline act at the 2006 Taipei International Choral Festival in Taiwan where they performed at the Taipei National Concert Hall, and also the 2005 Vancouver International Festival, where their concert at the University of British Columbia received repeat national broadcasts by the Canadian Broadcasting Commission. In 2009 Coco’s Lunch received a return invitation to MusicFest Vancouver and were the first ensemble to be invited back to the Sydney Opera House Utzon Music Series in consecutive years (2008 & 2009). In 2008 Coco’s Lunch were also invited to perform at Telstra Dome for the Days In The Dioceses Commissioning Mass celebration in front of a 40,000 strong audience. 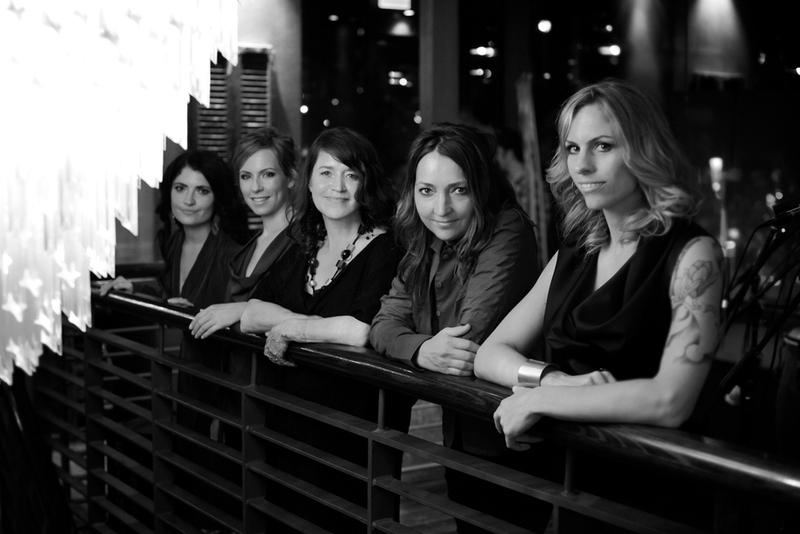 In 2003 the quintet scored BEST FOLK/WORLD SONG (Thulele Mama Ya – Lisa Young) and received Runner Up BEST FOLK/WORLD ALBUM (A Whole New Way of Getting Dressed) in the USA Contemporary A Cappella Recording Awards. Their CD Invisible Rhythm was a finalist for Best Album in the 2000 Australian World Music Awards, and the group was also nominated for 2 APRA music awards. Coco’s Lunch has toured throughout Australia and Asia with Musica Viva Australia since 1994 and represented Australian contemporary music in Singapore and Laos in the lead up to the 2000 Sydney Olympics. They have collaborated with Stephen Leek’s Australian Voices, and in 2008 were commissioned to write a new work for the ensemble. The award-winning music of Coco’s Lunch has been featured on countless compilation albums, anthologies, short films, ads, installations and documentaries. Sheet music for their original songs is available for purchase, and performed by choirs and vocal ensembles around the world. Coco’s Lunch for Kids are a hit onstage at children’s festivals, including repeat sell-out seasons at Sydney Opera House for 6 years and magical theatre shows for New Zealand’s Capital E Festival, Queensland Performing Arts Centre’s Out Of the Box Festival, Adelaide Cabaret Festival, Something On Saturday at Adelaide Festival Centre, Brisbane Powerhouse, Victorian Arts Centre and repeat shows for the Famous Spiegeltent – all directed by Vanessa Chapple. Their albums for children I Wanna Be A Mermaid, Wally Wombat Shuffle and Rat Trap Snap! were released to outstanding reviews by media and music educators, and are used as educational resources in classrooms throughout Australia. AUSTRALIAN A CAPPELLA AWARDS 2015 - 8 nominations including Best Jazz Song, Best Female Solo, Best Song Composed, Best Original Song. INDIA - Hindu NovemberFest inc. concerts in Chennai, Kochi & Hyderabad. Australian High Commissions in Singapore, Laos. Monash Carols by Candlelight 2007.